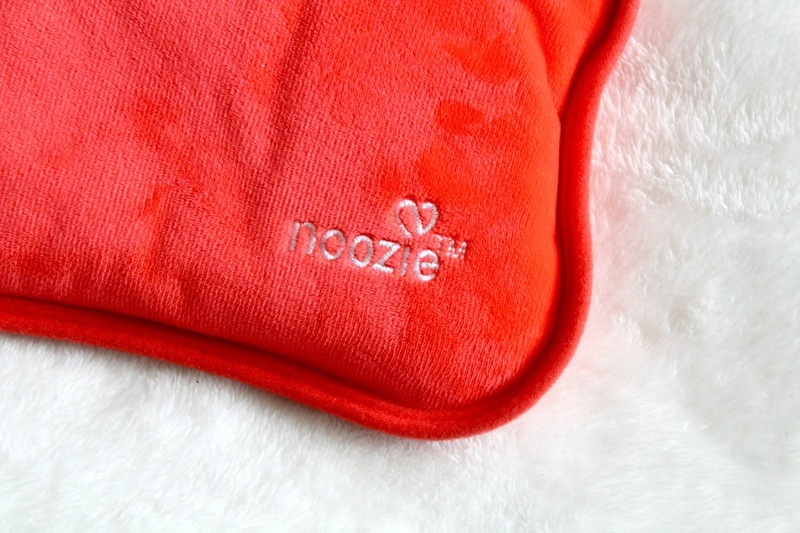 Noozie is a brand that has been on my radar for a little while, I'm a regular user of hot water bottles and wheat bags (those ones you put in the microwave) so I've been intrigued by their electric hot water bottle for a long time now. I can't fill a hot water bottle myself as I'm not good with heavy kettles and boiling hot water and on my really bad days I can't get down stairs to put a wheat bag in the microwave so I knew that their product would be perfect for me and other spoonies that are in a similar situation. 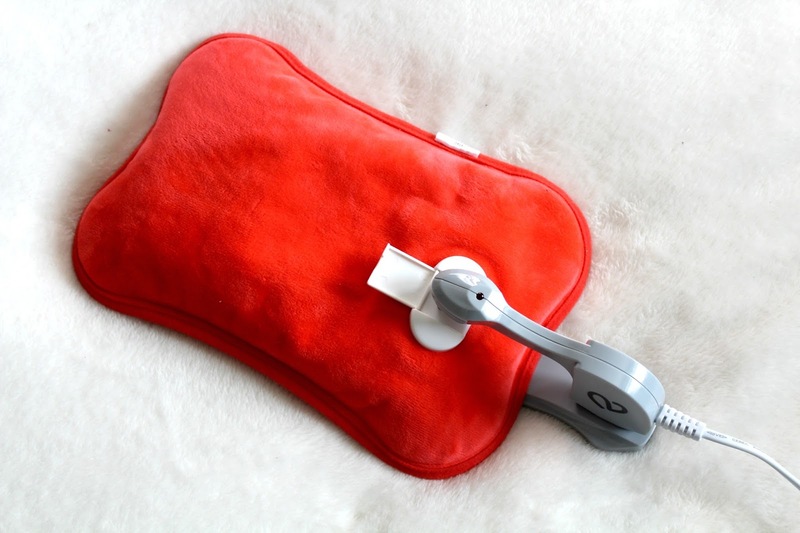 Noozie is an independent UK based brand that specialises in electric hot water bottles, something that I'm sure many of us chronic pain sufferers have dreamed about. 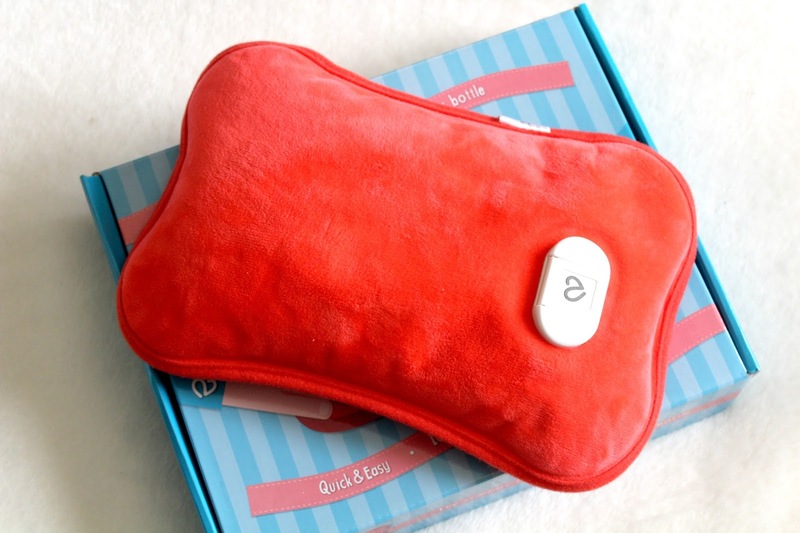 They want to revolutionise the UK market for heat therapy, they've done this by developing an easy and convenient solution that eliminates the dangers associated with traditional hot water bottles, I know that I personally don't like using traditional ones as they don't feel very safe. They really are a brand that is committed to making products that make life more comfortable for those with aches and pains or more serious chronic pain. I've been trying out the Red Noozie Bottle over the past few weeks, when it arrived I was so excited to try it out so I popped it on charge straight away! I was sure that it would take perhaps an hour at least to charge but within 10 minutes the little light came on to say that it was ready to use. I didn't even have to move from my bed, I just plugged it in and relaxed whilst I waited for it to warm up, much easier than trying to fill up a hot water bottle whilst also trying not to burn yourself! The max temperature that the Noozie bottle goes up to is 65C, which believe me is more than hot enough. For the first 15 minutes or so I made sure I had a few layers on underneath the bottle as it was quite hot, but the advantage of such a high starting point is that the bottle stays warmer for longer. I found that it stayed warm enough for my liking for about 2-3 hours, depending on how exposed the bottle was. When I used it in bed at night though it stayed warmer for much longer, about 5 hours! So, I knew that it worked and did exactly what a hot water bottle does and more but I did wonder about the safety aspects of it. A quick read of the box, or the information online, reassured me that this is plenty safe enough and definitely safer than a hot water bottle. The Noozie bottle has quadruple layered walls, 2 temperature controllers, a back up precautionary overheating device and strengthened insulated seams. That seems like plenty enough safety features to cover any possible dangerous scenarios! I've used the bottle at home but also whilst I'm out and about, during the winter my legs often get very cold due to them sitting still when I'm in my powerchair so the bottle is perfect to sit on my lap to keep me warm. The heat lasts plenty long enough for most trips out and with a blanket on top I think you would be very toasty! I honestly think this is a must have for anyone who struggles with aches and pains, joint pain or more persistent chronic pain like myself. Going back and forth to the kitchen to either fill up a hot water bottle or put a wheat bag in the microwave every hour is frustrating, painful and annoying so this is the perfect product to help get rid of that inconvenience. The Noozie bottle is usually £39.95 but is on offer for £34.95 so if you still haven't got someone a Christmas present yet then I would really recommend this, it's perfect for spoonies! Also, why not treat yourself this Christmas, we all deserve to take some time out to look after ourselves! You can also get 10% off their products with the code friends10, this code will be valid until the end of March 2017. 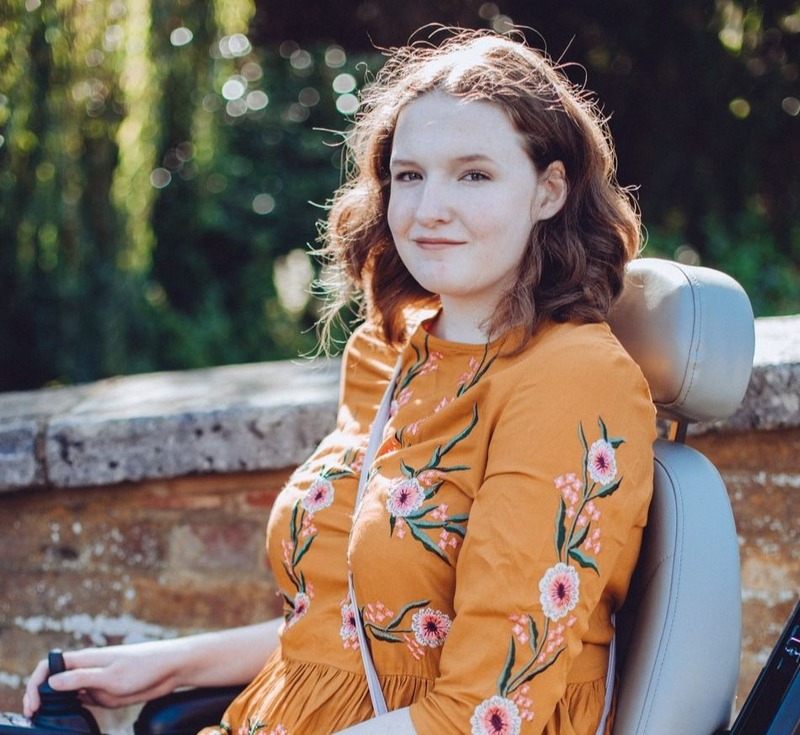 You can also read about some of the benefits of heat therapy on the Noozie website where you will find out about just how dedicated they are about making products that make a difference to people's lives. This product was sent to me for review consideration but this does not affect my opinion and I'm always 100% honest. This sounds amazing! I totally need one! Great review. It really is fab! I would recommend it to anyone and everyone, simply because of how much safer it is compared to traditional hot water bottles! Thanks! Never even realised these were a thing, just showed my mum and she was already thinking about getting me one for christmas, definitely looks like a spoonie essential. I absolutely agree, it is 100% a spoonie essential! This is incredible!! Mum could so use this for her back and I could use it for my lady times and my chilblains! Sounds like it's totally worth the money as well. May have to nab this when I next get paid. Fab review, hun!! Very interested to read about this. Now you've got relatively long term experience of the product, is it still working well? I had something similar from a different manufacturer which gradually swelled and eventually refused to heat for longer than a minute. My sister in law had two the same which also did not last long. I am on the hunt for a longer-term solution. Is a Noozie the answer? Unfortunately Noozie have gone out of business!